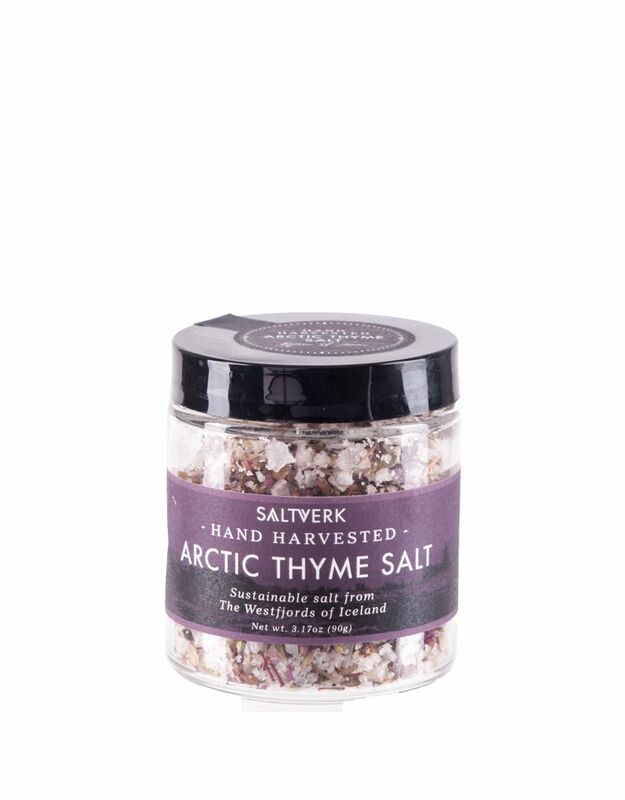 Saltverk Arctic Thyme Salt N°04 | 90 gr. 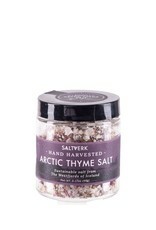 Home / Saltverk Arctic Thyme Salt N°04 | 90 gr. Wild Icelandic arctic thyme is a plant that grows on gravel soils and in dry heath lands in Iceland. The arctic thyme is complemented with Saltverk geothermal flaky sea salt and together they give the experience of the wild nature of Iceland. Good with meat, especially with Icelandic lamb. More information can be found on www.saltverk.com.